Gwiazda, Emily. "Isobel Gunn". The Canadian Encyclopedia, 22 August 2018, Historica Canada. 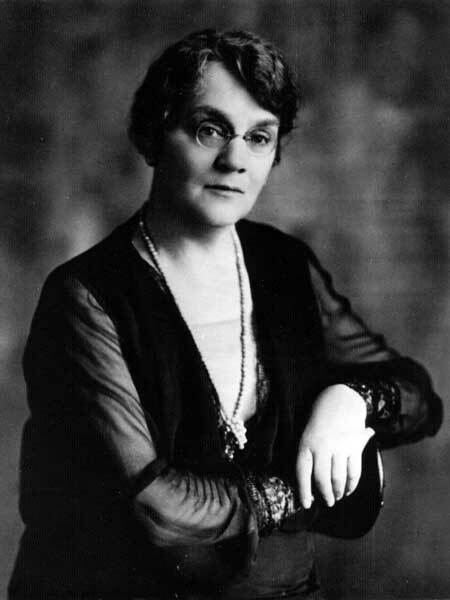 https://www.thecanadianencyclopedia.ca/en/article/isobel-gunn. Accessed 24 April 2019. Isobel Gunn was born in August of either 1780 or 1781 in Orkney, a group of islands off the north coast of Scotland. During this time, the Hudson’s Bay Company (HBC) was engaged in the lucrative fur trade in Rupert’s Land, part of modern-day Canada. The HBC frequently recruited labourers from Orkney, as Orkneymen were seen to be hard-working and able to endure the harsh conditions of working in the fur trade in Canada’s wilderness. Gunn wanted to work for the HBC, although the exact reason is not known. Some versions of her story claim that she was following a lover, while others suggest that she was inspired by her brother’s stories of working for the HBC. Another theory is that the HBC labourer’s pay was more enticing than the life and wages of a woman working in Orkney. However, at this time the HBC did not hire European women due to the nature of the work and societal gender expectations.There were strict rules against women on HBC ships. Although European women were not permitted to work in the fur trade, Indigenous women played a different role. They worked at trading posts and took on tasks such as maintaining food supplies, acting as guides, and manufacturing moccasins, canoes and snowshoes	for fur traders. As well, the intermarriage between European fur traders and Indigenous women was important for establishing alliances that contributed to the growth of fur trade society. In order to work for the HBC, Gunn disguised herself as a man and went by the alias John Fubbister. 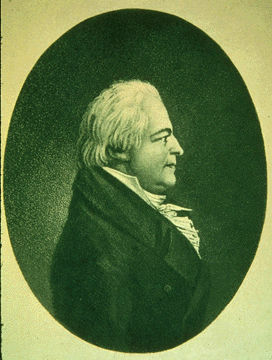 In summer 1806, Gunn signed a three-year contact with the HBC for £8 per year. On 29 June 1806, she sailed aboard the Prince of Wales from Stromness, Scotland, to Rupert’s Land. Some believe that the fellow Orkneymen in her company may have known her true identity, but kept her secret because of their close-knit community. The Prince of Wales arrived in Moose Factory (now a part of Ontario ) in August 1806. From there, Gunn was sent to Fort Albany (some 130 km northwest of Moose Factory), while her supposed lover was in Eastmain (the eastern shore of James Bay , now part of Quebec ). In September, Gunn’s group was sent up the Albany River	to Henley House to deliver provisions and goods for trading and returned at the end of the month with wood for boat building. The Albany journal from 1806–07 reports that Fubbister performed servants’ tasks, such as transporting cargo inland. In May and June 1807, Gunn took part in a 2,900 km expedition to Martin Falls to take goods and supplies to HBC posts. In the fall, Gunn joined another group that travelled up the Red River	to Pembina (in what is now North Dakota, United States), where they stayed the winter. It is believed that Gunn was one of the first European woman in what is now Western Canada (see also Marie-Anne Lagemodière) . Gunn maintained her cover as a man because she was able to succeed in the labourer’s work and act like a “Company man.” Hugh Heney, who led the brigade to Pembina, wrote that Gunn “worked at anything and well like the rest of the men.” This went against the European notion of the time that women were weak and could not do men’s work. During the winter of 1807, Gunn was stationed at the HBC post in Pembina. Her group had spent Christmas at a post of the North West Company (NWC), a competitor of the HBC. On 29 December, Gunn was feeling unwell and begged Alexander Henry, a fur trader for the NWC, to give her shelter. In 1761 Henry left Montreal for Michilimackinac and in 1775 penetrated the far West (courtesy Metropolitan Toronto Library). The child’s father was John Scarth, a fellow HBC employee who had been on the same ship as Gunn from Stromness. It is unknown whether Scarth and Gunn’s relationship was consensual or not. She named her son James Scarth. After giving birth, word spread to other posts that one of the labourers was actually a woman. Her secret was out and she was now referred to as Mary Fubbister. Since her gender had been revealed, she could no longer work as a labourer. Heney’s party, including Gunn and her son, returned to Martin Falls on 28 June 1808. There, she worked as a washerwoman, as it was considered appropriate work for a woman. It appears that she neither liked this line of work nor was very good at it. She may have also worked as a nurse in the newly established school in Fort Albany. In October 1808, her son was baptized by William Harper, the schoolmaster. 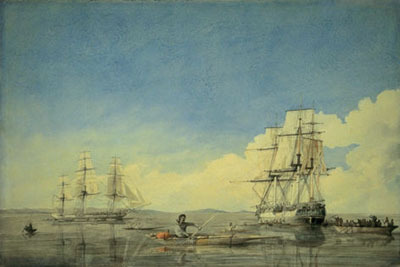 Gunn was discharged from service in September 1809. As HBC policy did not allow European women at their posts, Gunn was sent back to Scotland. On 20 September 1809, she sailed to Orkney on the Prince of Wales, the same ship that had brought her to Canada three years earlier. Upon her return to Scotland, it was likely that having a child born out of wedlock would have brought shame on her family. In Orkney, she worked for some time making stockings and mittens, another position deemed acceptable for a woman. Little is known about her life after her return to Orkney. By some accounts she lived as a vagrant. However, according to census information, Gunn was working as a stocking knitter and living on Main Street in Stromness when she died on 7 November 1861 at the age of 81. Gunn’s adventures in Rupert’s Land may have been short-lived, but her story was passed on. A reference to a washerwoman in Hudson Bay, appearing in a satirical skit written by fur traders in the 1820s, may have alluded to her. 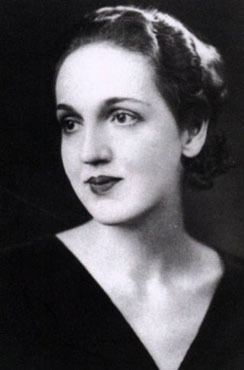 Her story has been more widely circulated in modern times. In 1999, Canadian author Audrey Thomas	wrote the historical-fiction novel Isobel Gunn based on Gunn’s story. A documentary released in 2001, The Orkney Lad: The Story of Isabel Gunn, was directed by award-winning Canadian filmmaker Anne Wheeler. 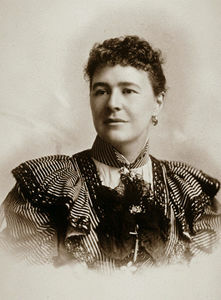 Gunn’s time working for the HBC broke gender and racial norms of the 19th century for the Hudson’s Bay Company and European society. Later in the 19th century, the acceptance of the presence of European women in Canada was a sign of the decline of the fur trade and the rise of agrarian colonization.